New Orleans has a unique food scene that reflects its vast cultural roots. From mouthwatering recipes that include cajun cuisine to fried Southern fusions, NOLA is a great place to explore a variety of tastings that make up part of the city’s rich history. A popular food truck that nourishes the NOLA community, The Red Stove food truck’s cuisine consists of Mediterranean and po boy sandwiches. Serving lunch right outside of Tulane Medical Center, their menu offers reasonably-priced options for students and locals alike.Among their menu recommendations, the Mint Lemonade Slushy ($3) is a refreshing favorite during warm NOLA days. The chicken Shawarma is a must-try and a customer favorite. Fete au Fete is a popular “streatery” in NOLA. 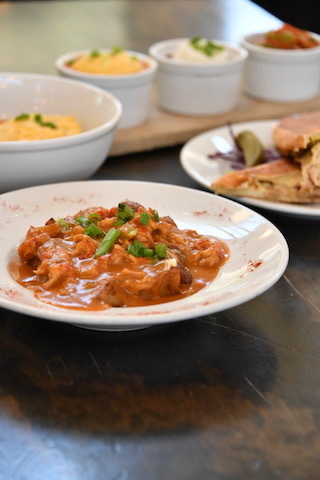 Their signature dish is Crawfish Poutine that is a generous combination of fried and boiled crawfish, new potatoes topped with pepper jack cheese, all smothered in a creamy crawfish étouffée. Owner Karen Carlsen says they pride themselves on providing upscale Southern Comfort food with a Louisiana twist. In addition to their food trucks, you can find their permanent location in St. Roch Market at 2381 St. Claude Avenue. If you’re looking for a delectable fried chicken spot in the city of NOLA, then check out Bonafried’s food truck. Sporting great reviews, the food truck offers a flavorful balance of crispy and juicy chicken options that would do any southern fried chicken recipe justice. Try their big and flavorful french fries or their wings and juicy sliders. As one of New Orleans’ newest trucks also includes spectacular customer service. Follow them online for location updates. You’re bonafide to have a satisfying meal here! The well-known local eatery brings life to the culinary scene of New Orleans. Operating as an event catering truck, occasionally attending festivals, the food truck serves up Cajun dishes that include award-winning po’ boys. In 2009 and 2014, they won the award for Best Shrimp Po’ Boy and the 2013 award for Best Specialty Meat Po’ Boy! Offering an assortment of tasteful, locally-sourced meats, the cart smokes, cures, and ages all their meats by hand. Dedicating themselves to tradition, the cart is a magnificent foray into New Orleans seafood, culture, and history; the name Boucherie harkens back to the days when southern Louisiana was still growing and the tradition of the meat cutter and seller was part of the pre-ritual to the first Cajun citizens as Mardi Gras and Jazz Fest are popular today. 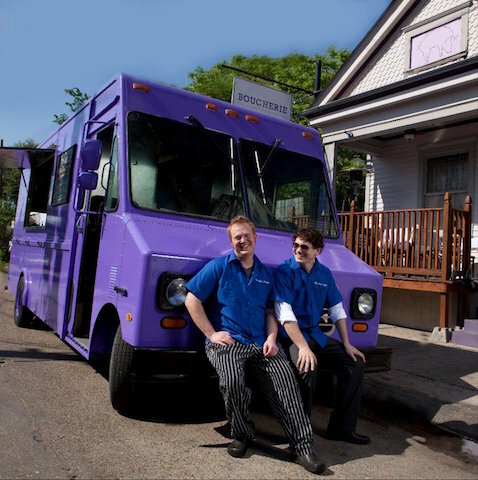 If you’re in town for an event, make sure to call up Boucherie’s Purple Truck! The New Orleans fixture celebrates a Mexican-inspired menu of delicious tacos. The quaint taco truck, adorned with folk-style drawings, offers a palate of traditional tacos and fancy gourmet recipes. Choose from their hefty or tofu tacos. Each style combines vinegar, a kick of spice, and creaminess and crunch to balance it all together. Launched in 2010 by Alex and Maribeth del Castillo, the truck was a trendsetter on the food truck scene. It’s common night time stops include the Kingpin or Dos Jefes so families can enjoy its flavorful inspirations. Try their top selling taco, “Messin’ with Texas” which includes brisket, cabbage, cream, salsa, and radishes. The Korean-style Bulogoli chicken tacos are also local favorites. At $5-$8 for two tacos, you can get some creative inspirations that are not to be missed! If you’re looking for a morning snack to brighten your day, the cute red food truck serves as a beacon of hope in your morning daze. 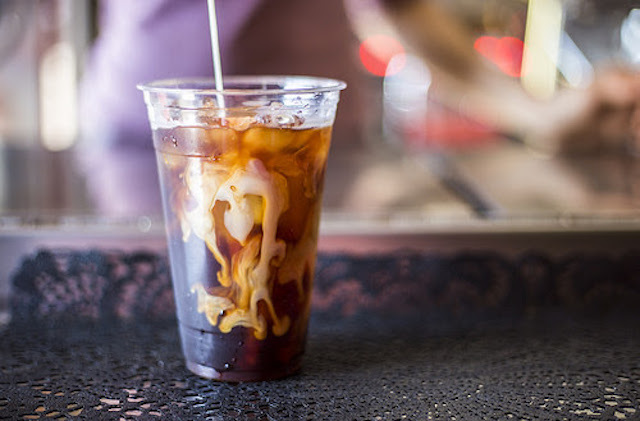 Created out of the need for better caffeine options in the city, the truck specializes in caffeinated drinks from dripped to iced coffees and pastry confections and offers customers friendly service and prices are convenient for a quick breakfast. For signature drinks in the summer, the owners suggest trying the Jet Fuel, Hibiscus Ginger Sweet Tea, and their Frozen Au Lait with house-made Salty Caramel Sauce. 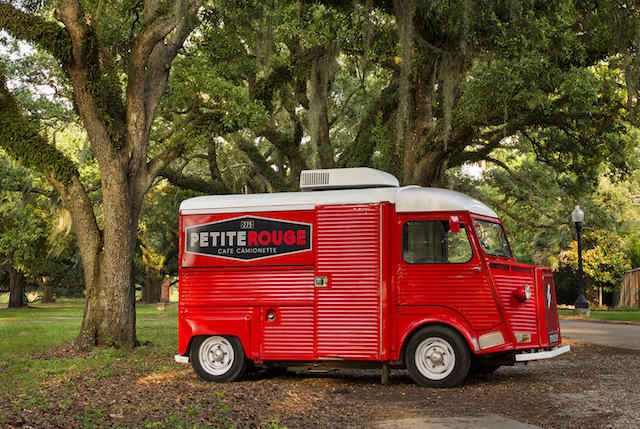 The little truck is a reflection of the French influences that have shaped New Orleans culinary tradition for the past few centuries. New Orleans is a great introduction into the culinary lifestyles of the locals. Be sure to check out the decadent and mind-blowing cuisines that our food trucks have to offer. Bon Apetit!